Can you see your little one making his or her way through the prairies of the old west? Do wide open spaces call their name? Do you find them humming cowboy songs and pretending to survive in the wilderness during playtime? If so you might have a true prairie child on your hands. There is an easy fix to calm the longing for your child's longing for wide open spaces, at least, until your child can get ahold of their own ranch. 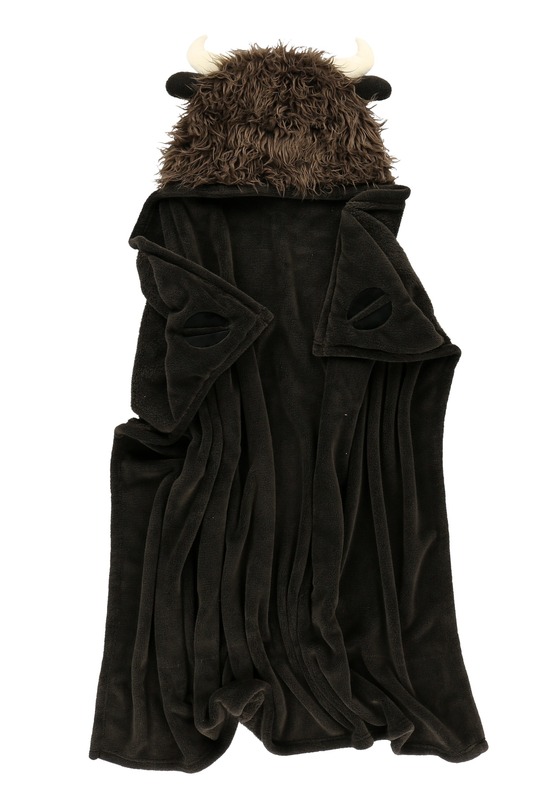 Consider indulging playtime with wild west accessories like this cozy buffalo blanket. 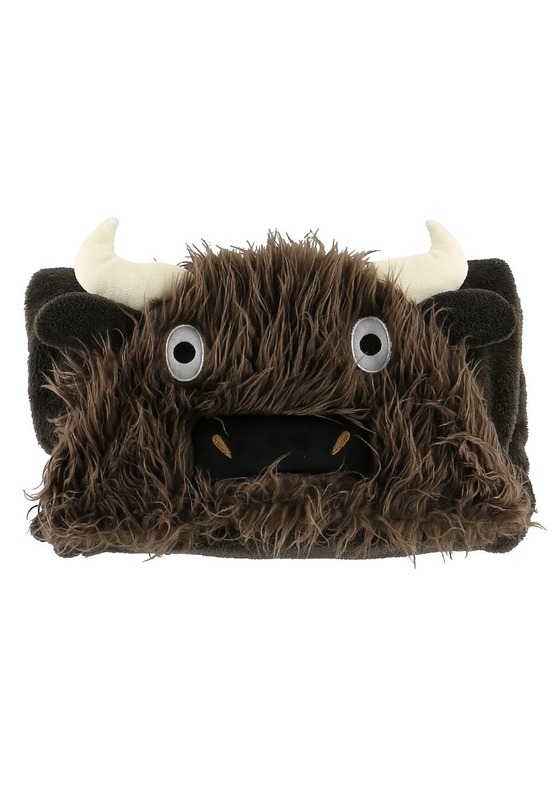 Now your child can pretend to be a tough buffalo braving the elements of the prairies with more accuracy than ever! 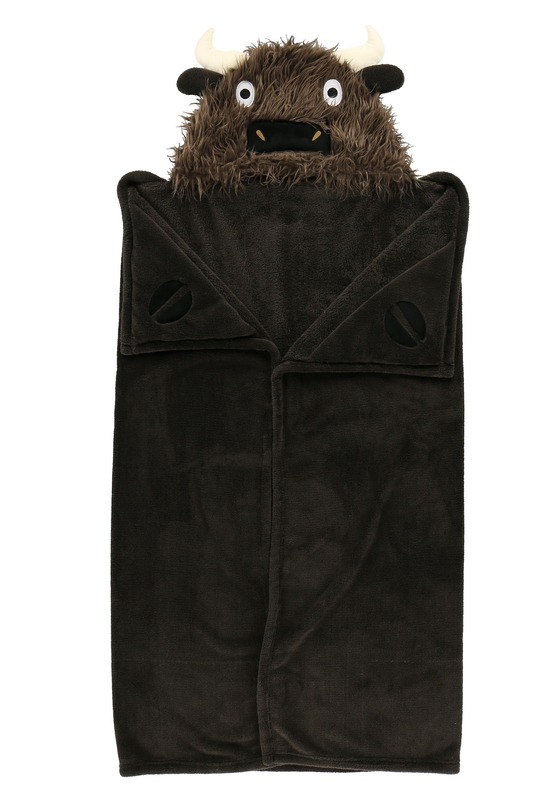 This super soft fleece-textured blanket has pockets on the top corners with hooves on the fabric. The shaggy hood has plush horns as well as an adorable face. The cozy look will be the perfect accent for western costumes as well as naptime after the Halloween is over. 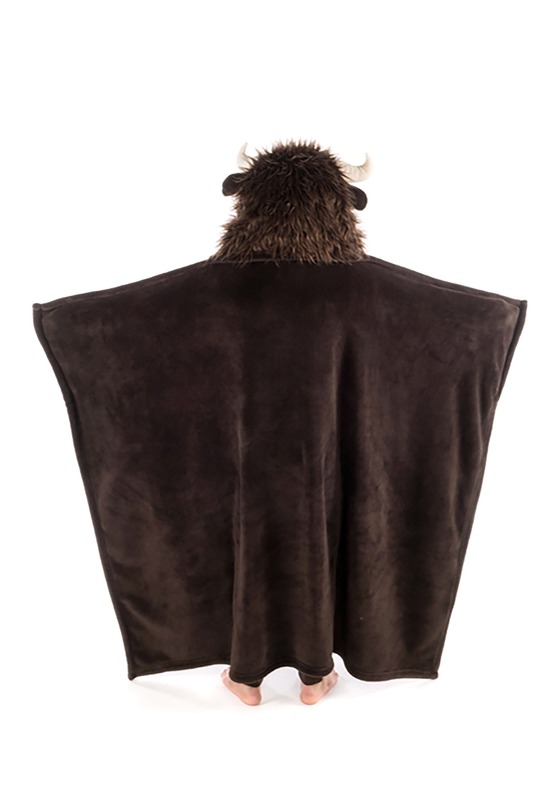 Whether your child has witnessed the wide open skies of the western plains or it's still only in their imagination, this buffalo costume is sure to make wild imaginings more fun. 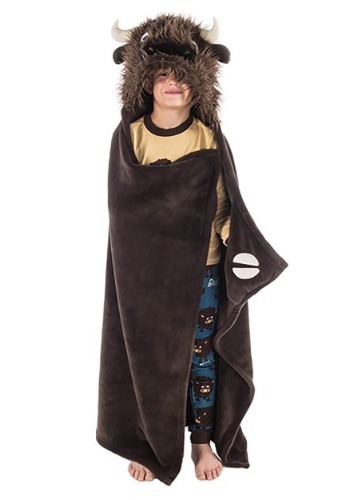 So whether your kiddo is wearing this blanket during playtime at home or while camping on the South Dakota plains, they're sure to feel more connected to the prairies when wrapped in this soft blanket.